Recently, my husband was the best man in a wedding of a longtime friend in beautiful Newport, RI. 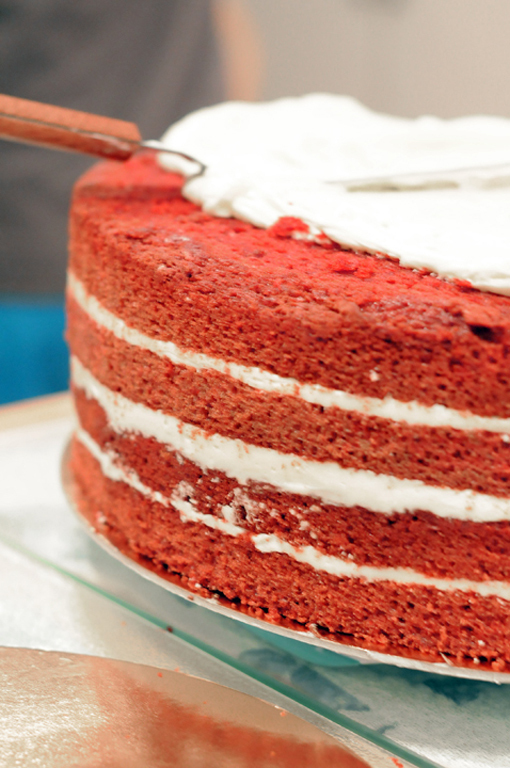 For their wedding cake, I made a red velvet cake with a cream cheese buttercream filling. 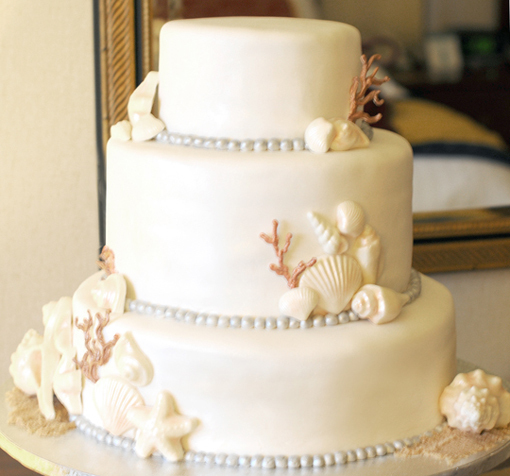 I knew the bride wanted sea shells on the cake, so I decided to get every shell mold from here to Timbuktu and I started making white chocolate shells. They turned out great and really are pretty easy to create! 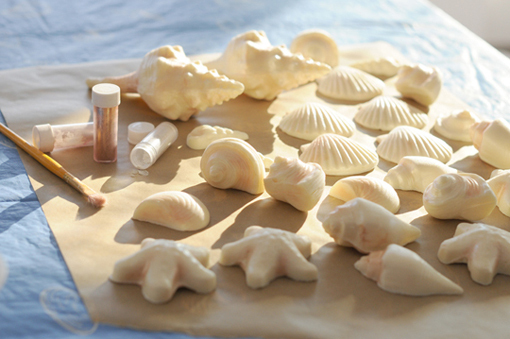 I used edible pearl dust to add color accents to the shells. 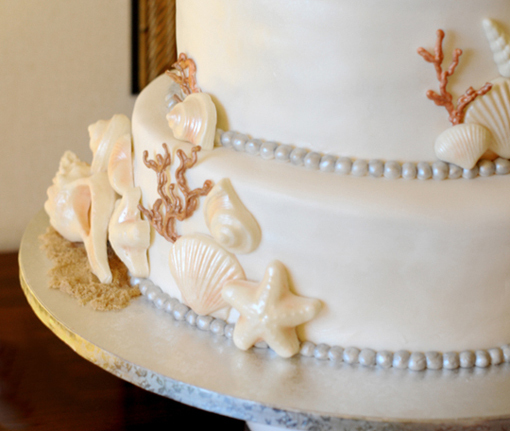 The shells looked wonderful, but the cake needed a pop of color, so I decided adding coral was the answer. This technique is incredibly easy and really adds depth to any cake. 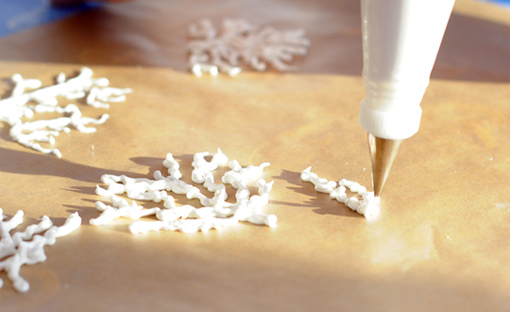 Pipe royal icing on to parchment paper and let it dry overnight. Then, mix your edible dust with some vodka to make it easier to paint (the Vodka evaporates and leaves only the beautiful color!) 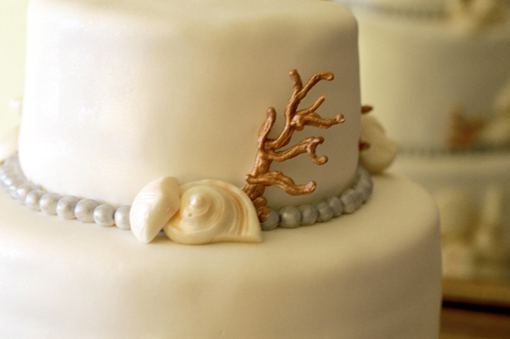 Use the extra royal icing to "glue" the pieces of coral to the cake.